Our most popular tour! 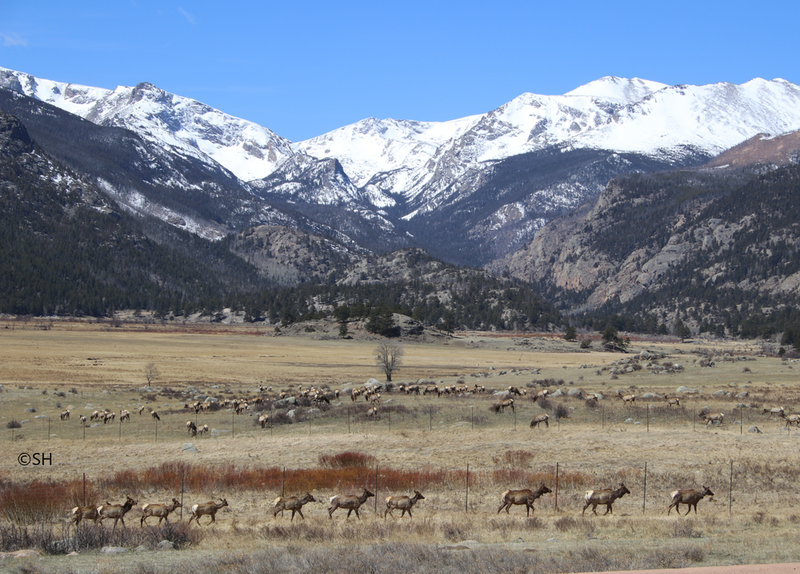 During the course of this tour, we will guide you through the majestic wonders of Rocky Mountain National Park. There are multiple stops along the way. This tour captures the most scenery and gives you the most opportunities to spot wildlife. Experience the awe-inspiring beauty of the Rocky Mountain National Park as your professional guide narrates your journey from start to finish, ensuring an incredible experience. Your unforgettable tour will start in the historic downtown Estes Park at 7500 feet above sea level. 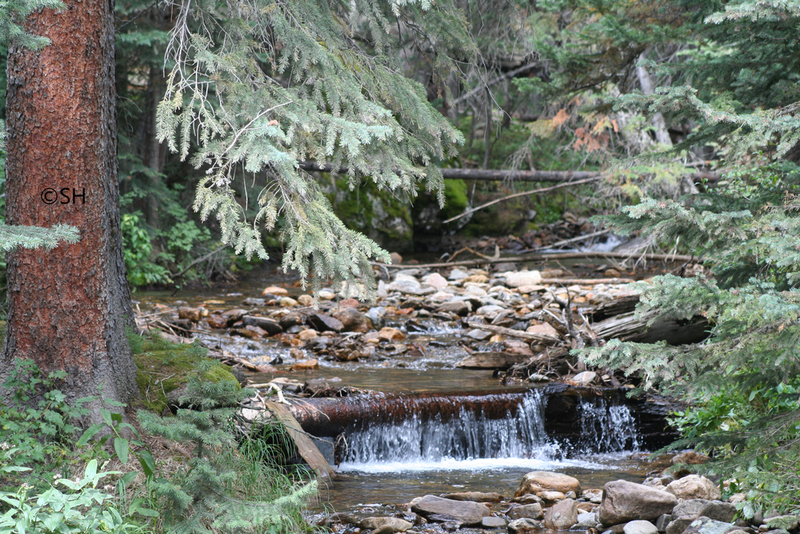 It will take you through lowland meadows and aspen groves, along swift flowing rivers to mountain lakes and into the tundra above 12000 feet in elevation. When open, you will drive up Old Fall River Road and continue on your journey over the highest point of Trail Ridge Road (the tallest paved highway in the US). Our Green Jeeps hold up to 9 people (one person in the passenger seat). Larger groups can be divided into different Green Jeeps. 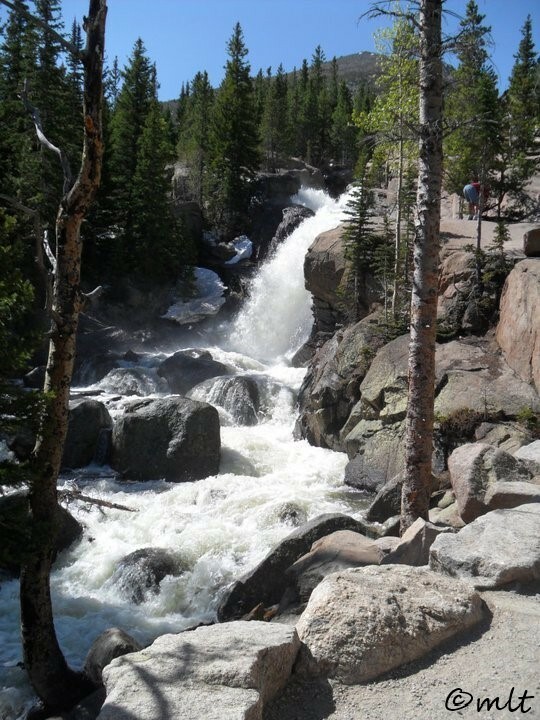 Jump in the Green Jeep and ride to a secluded area of Rocky Mountain National Park. Then take a 1+ mile hike to a stunning waterfall. This is a hike good for most ages.